Becoming a single mom may feel like being forced to do a high-wire act over a holey net, but don’t let fear take over. Just like completing any other overwhelming task, the first step to coping as a single parent is getting started. Remember, Prince Charming will not be coming to your rescue. Make a plan. Your life is 100% your responsibility, but you are not alone. 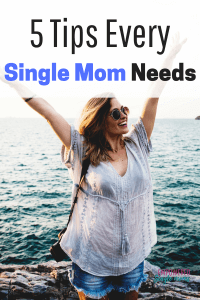 Many of us have walked this path of being a single mother ahead of you and our single-mom advice can help smooth your journey. 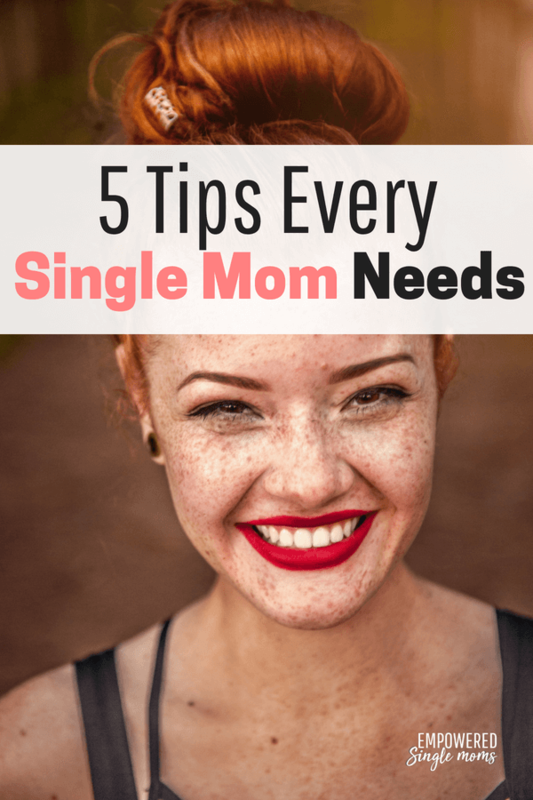 You will not feel like a successful single mother if your finances are a disaster. You may want to hide your head in the sand, but your finances will not get better if you ignore them. I know it is hard. However, it is mostly emotionally hard; the skills you need are not advanced. Most children are capable of the math part of budgeting before they reach middle school. You can do this. You simply need to bring in as many dollars as go out. Preferably, you will bring in more money than goes out. If you are not there yet, make a plan to get there. Living on credit is not a good option. At some point, you will need to pay the bill and if you can’t do it today, how will you do it five or twenty years from now? Set up a budget that covers all of your needs with the money you make. If you need help, here is a fantastic tool. Depending on someone else to meet your basic needs puts you in a vulnerable position. You will save yourself a lot of stress if you can cover your needs and as many of your wants as possible without depending on your ex-husband or government assistance. Exercise is one of the best things you can do to improve your mood and reduce anxiety. Go for a walk or a bike ride. Join a gym or take an exercise class if that is in your budget. There are many yoga and other exercise videos on Amazon Prime, and for free options, you can borrow exercise DVDs from the library or explore YouTube. You don’t need expensive gear either. You can do a lot with a couple of hand weights or by using your body weight for resistance. You probably lost social connections and friends during the divorce process, so make time for friends and get to know some new people. Volunteer at your child’s school or be a parent helper for extracurricular activities and get to know other parents. Say hello to a neighbor. Go to church and stay for coffee, or attend an adult education class. If there is a small group opportunity, say yes. Hobbies relax you and stimulate your body, mind, and creativity. If you don’t have a hobby, try out some new things. The possibilities are endless: read, write, knit, garden, play a musical instrument, or weave baskets. Combine starting a hobby and meeting people by taking a class. Combine a hobby and being active with running, yoga, ballroom dancing, Pilates, aerial arts, or karate. Hobbies are a great way to meet other people even when you aren’t taking a class. If running is your hobby, you can meet people at races. If you like to read, try joining a book club. You have been a part of a we for the past several years. Get to know who you are as a single person. What are your hopes and dreams? Where do you want to invest your time and energy? What kind of life do you want for you and your children? What do you want your life to be like when your children leave the nest? Today is the day to start building that life. Starting is the hardest part, but even one small step forward is progress. You can live the life you want and be the mom you want to be. First, take care of your basic needs and then take care of yourself so you can take care of your kids. I want you to know you are not alone on this journey. I made a private Facebook group just for you. Empowered Single Moms Tribe is a place you can share challenges, single mom advice and encouragement. We would love for you to join us here. 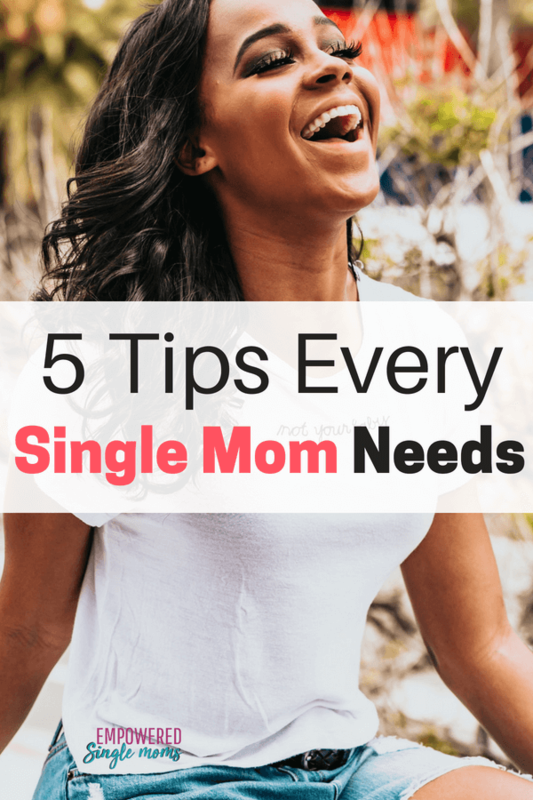 I have a tip sheet for building a successful single-mom life in the free resource library along with several other resources. Fill out the form below and I will send you the password.